Sienna chose the starfish motif from our Walsh design for her custom social notes. 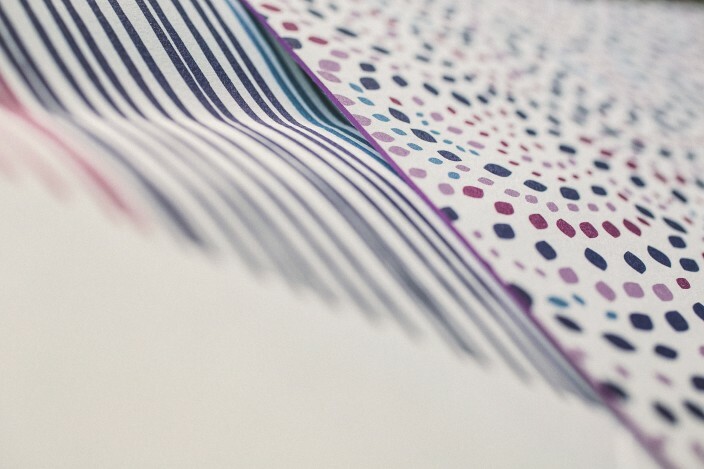 We letterpress printed her personal stationery in violet ink on our white bamboo paper, and created violet envelope liners in our aneto pattern to match. 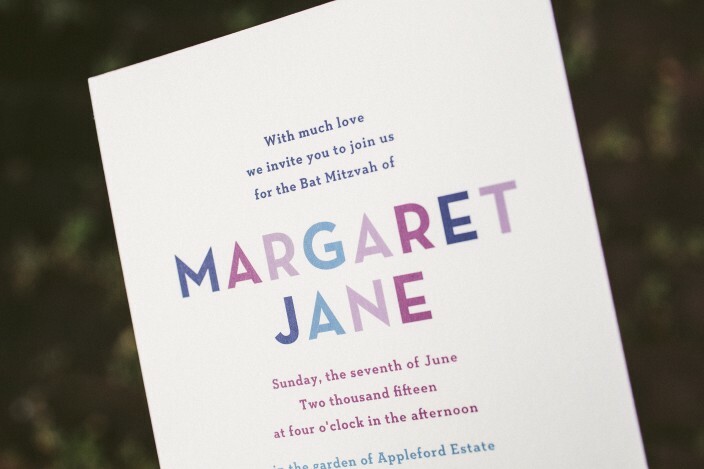 We personalized our Brynn design to create Maggie’s jewel toned Bat Mitzvah invitations. 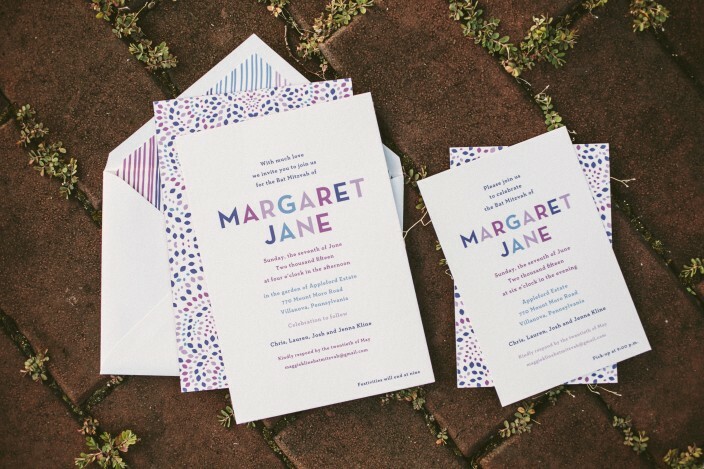 Featuring a pretty palette of orchid, azure, royale, and violet inks, the invitations and party cards both included a modern, text-based design on the front, with a colorful pattern covering the back. 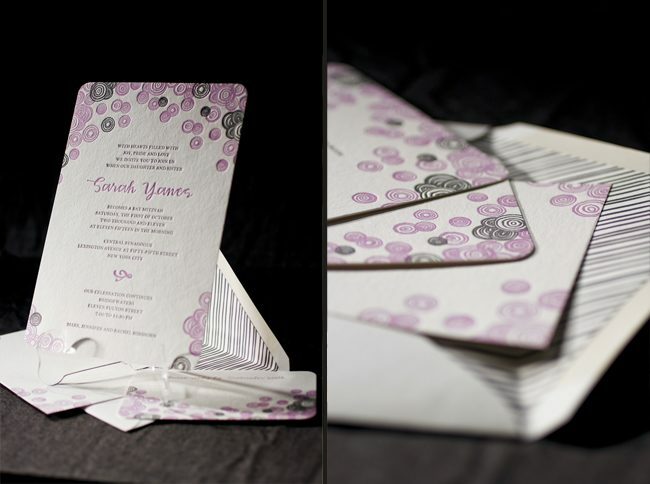 Orchid edge painting and striped patterned envelope liners added additional bursts of color to this sweet set. 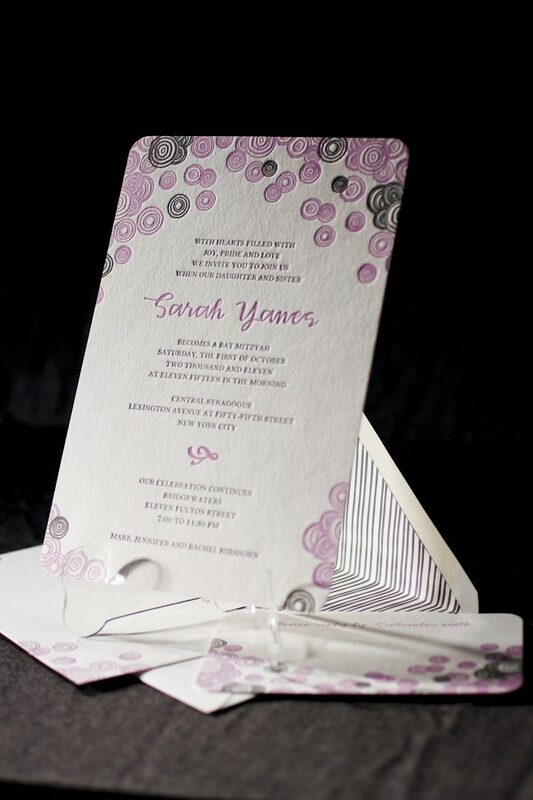 Our new Finley Bat Mitzvah invitations are equal parts feminine, elegant, and youthful. 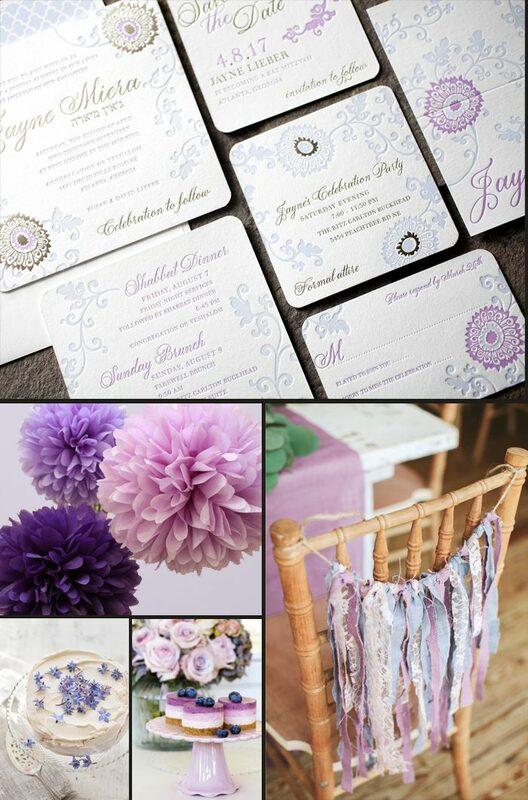 Printed in our violet + gossamer inks on our new, ultra thick 3-ply paper and accented with tawny matte foil, these square invitations call for a celebration filled with pretty floral decor and the sweetest of treats. These neon pink Bat Mitzvah invitations were inspired by our Rainier customization and feature such a fun color combination! 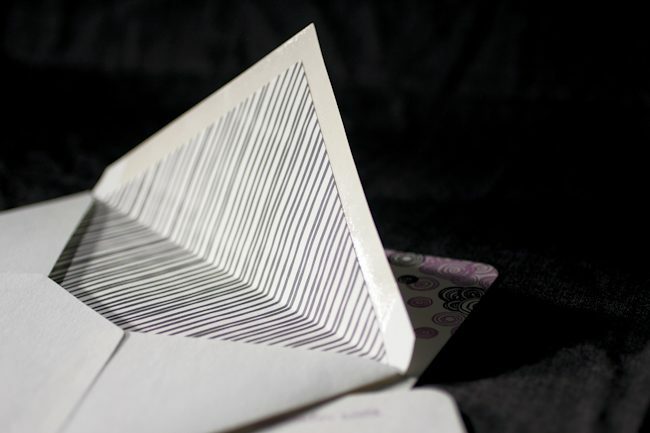 The invitations were printed on our thick, 2-ply white paper in neon pink ink and feature silver shine foil stamping. A cute party card was created using violet and neon pink inks, and the Rainier patterned envelope liner in whisper, hot pink and violet inks tied everything together. Sometimes you don’t need all the flowers and swirls. Sometimes all you need is the right text and the right ink. When Byrd + Bleecker decided to set this up with our #10 card size, it proved that idea quite well! We know we’ve shared many gorgeous Dawson customizations with you, but we especially couldn’t wait to share this one. 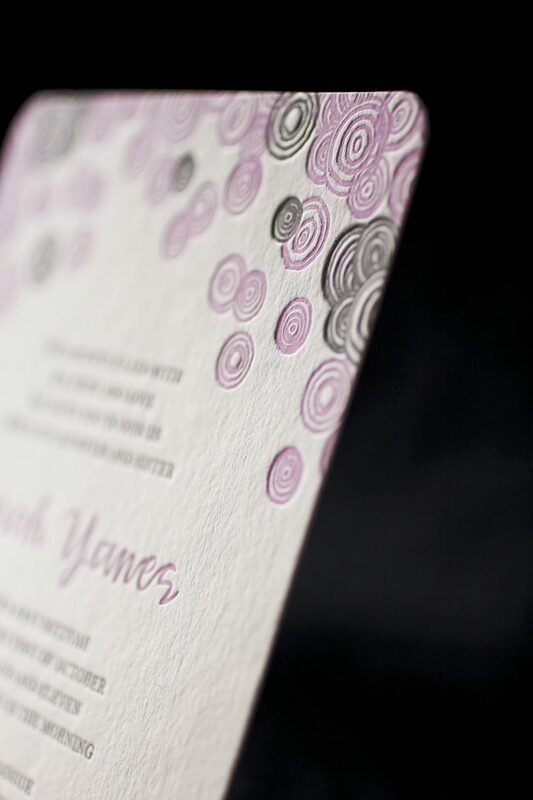 With a pairing of our violet and persimmon inks – this invitation is a sure fire hit. We definitely feel the romance reflected from this invitation. This suite was submitted by our friends at Epitome Papers in Edina, Minnesota and each piece is letterpressed on our luxurious 2-ply bamboo paper. We adore that the vibrant and more feminine color palette is carried throughout on the reply cards and reception cards, too. We love seeing couples step outside the box and truly toss in a bit of their own creativity when choosing how to customize their own wedding invitations.